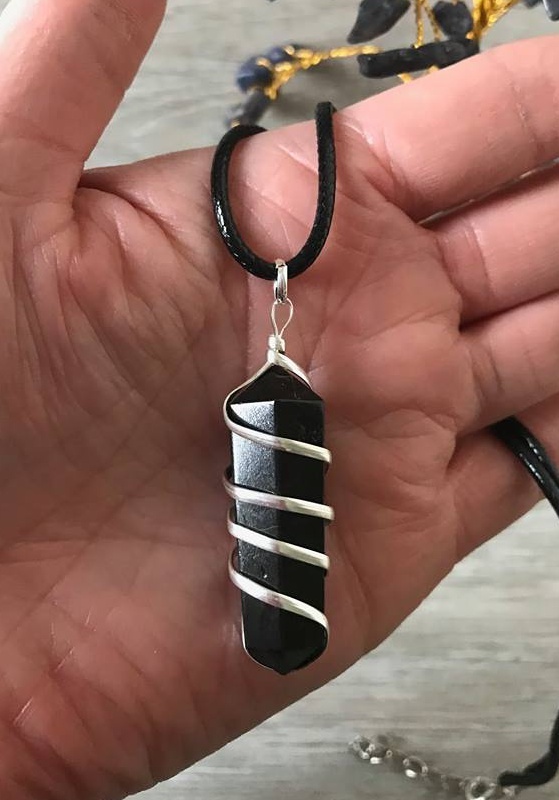 Black Tourmaline, is said to be one of the best crystals for dispelling negative energy and turning it in to positive energy. Relieves stress and anxiety, helps you disconnect from people with negative things to say. 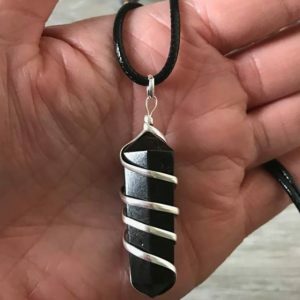 A very grounding stone, can be used in a grounding meditation. Please be aware of any shiny bits on the pendant this is the grain of the stone.